For years, the creation of marketing plans consisted of allocating budget between mostly TV, radio, direct mail, and print advertising. During the 2000s, the growth in internet usage and the introduction of social media drastically changed the marketing landscape. Digital marketing became an essential part of business success. Like every marketing channel, digital marketing has pros and cond. But, in my opinion the benefits of digital marketing far outweigh the downsides. Here are 4 reasons to shift more of your budget from traditional marketing to digital. 1. Digital marketing is more cost effective than traditional marketing. One of the best things about digital marketing is that businesses with any budget can take advantage of it. In other words, you don’t need to spend thousands of dollars to get started and to see results. With a few hundred dollars you can invest in Google Adwords ads or test Facebook Advertising. For an even smaller investment you can start using email marketing to nurture and follow up with prospects, and encourage more repeat purchases. For example, email marketing tools like Mailchimp and Aweber have free versions or free trials that are great options for businesses that are just starting with digital marketing. Check out our recent blog post on other great email marketing tools for small businesses. 2. Digital marketing is data driven and can be quickly and easily adjusted. Traditional marketing such as print, radio, or television can take weeks to gather data. During this time you may still be investing money in marketing that you then find out is not working. With digital marketing, the data is often real-time. Tracking tools like Google Analytics or those built directly into AdWords, Facebook, and email marketing tools provide data about the performance of your campaigns within hours of launching. This data can be extremely specific and allow you focus in on your goals for each campaign and what is and isn’t working so you can make immediate adjustments. For example, if you start a Facebook ad campaign and within a few hours find out that the cost per click is extremely high, you can then pause that campaign, analyze the data, and reformat your ad in hopes of bringing down the cost. The immediacy of available data helps you to use your budget more efficiently and create more effective ads. 3. Digital marketing offers the chance to reach an extremely large prospect pool. 93% of people ages 18-49 are using the Internet. That number only drops to 81% for people ages 50-64 and even in the 65 and older age group, 58% of people still use it. There are over 2015 billion emails sent per day with the average person sending and receiving 122 emails. As of Q1 in 2016 Facebook has over 1.65 billion active users. There over 2.7 billion Google searches every day. People are online all the time. Digital marketing provides businesses with an open opportunity to reach a huge range of prospects on a local, national, and international level. With digital marketing, you have the ability to decide where you want to target your marketing and then create campaigns that allows you to reach a massive amount of people in that area. 4. Digital marketing helps to establish more credibility and authority. When was the last time you blindly purchased a product without researching it online first? Chances are you can’t remember. 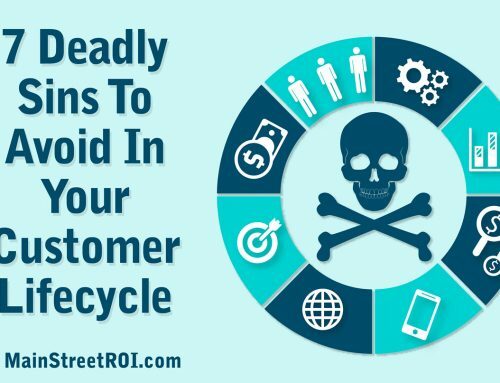 And chances are your prospective customers are doing the same thing. Even when prospects see a TV commercial, hear a radio ad, or read a print ad, they’ll often turn to the internet to do additional research. This is why digital marketing is so important now. Investing in digital marketing increases your online presence and will ensure your business shows up in search queries when prospects are researching your products and services, or even directly researching your business. Want more digital marketing advice? Take 1 minute to fill out this survey and let us know what you’re most interested in learning about. This will help us to provide you with the best digital marketing tips and tools around.